Pastoral Associate, St. Anthony on the Lake, Pewaukee. Do You Have the Skills of a Servant Leader? Kim Boho, small group facilitator for ‘Encounter Christ’ and a ‘New Evangelization Team’ member at St.James Parish in Menomonee Falls. I was born the third, middle child of five children to Joseph and Anna who both were 1st generation Italians. We lived in a two-family home with my mother’s parents who spoke Italian more than English. We went to Catholic grade school and high school. I was the first adult child in my family to graduate from college – a Catholic college away from home. Having survived the normal childhood sibling issues and the parental styles of the time, I have a great love and appreciation for my parents, grandparents and my two brothers and sisters. I still am in my formative years. Some things are always with you and help carry you, knowingly or unknowingly, to that next level of insightful understanding and compassion – Love and Faithfulness taught at a very, very early age! My initial career began as a registered nurse in 1967. Staff nursing, Head Nurse and Clinical Nurse Specialist were positions held respectively. I have served as a Director of Nursing Education in a hospital setting and taught Nursing at Texas Women’s University Dallas Texas as well as at Loyola University in Chicago, IL. My nursing career took another turn as I moved into Parish Nursing working in an intercity church. For over 10 years, this ministry was a wonderful source for professional learning and spiritual growth. During my parish nurse career, I was published four times. Two articles appeared in a Christian journal and two were incorporated in textbooks for parish nursing. A broad range of hospital chaplain’s experience make-up my clinical practice. They include spiritual care for the medical/cardiac patients, orthopedic patients, cancer care patient, palliative and hospice patients, prenatal loss spiritual service including a semi-annual Memorial and Burial service. Several years of facilitating both Caregivers support groups and parish nurse support groups have been part of my practice as well. My work has included in the past selected administrative functions such as scheduling, orientation of new staff and volunteers, communications to staff from our Director of Spiritual Services. In 1989, I married Edward Francis Boss who is also a Secular Franciscan. We share our love for the Order as well as gardening, drawing, water color, cooking and walking in parks. Ed is retired but busier than ever with his gardening and with the Secular Franciscan Order as a Regional Spiritual Assistant. Currently I am an OPT (optional part-time) position at CMH. Joan Carey is the founder of Firstfruits Apostolate, a non-profit organization dedicated to helping women grow spiritually, deepen their relationship with God, and awaken to their giftedness and purpose. Joan has served as a keynote speaker, presenter and workshop leader. She is the author of Ponder This, a collection of faith based short stories that have aired on Relevant Radio (100.1 FM WPJP) and been featured as podcasts on the Archdiocese of Milwaukee Web site at www.livingourfaith.net. In addition, Joan co-developed Simply the WORD, a scripture study program. Joan is married with three grown children and five grandchildren. Sister Karlyn is a full time artist with Art Gallery which is open weekdays to the public at Divine Savior Holy Angels High School. She is a Sister of the Divine Savior with a B.A. from Marquette University and M.A. Art from University of Wisconsin, Madison, WI. She is an exhibiting artist and her web sites are: karlyncauley.com and sistersofthedivinesavior.org. She was appointed an Ecumenical Associate with the Presbyterian denomination, Immanuel Church, Milwaukee’s east side. Sister Karlyn is a companion sponsor to new members, lay and religious Salvatorians. She works in racial relations with Common Ground, and lives in the central city in housing for African American elders sponsored by my community. My gifts include translating the scriptures into art workshops with emphasis on women and their values, gifts and skills, and prayer forms, and presenting creative experiences to skilled artists and non-artists. Although I live in Pewaukee, I teach Freshmen courses during the school year at Messiah College in Mechanicsburg, Pennsylvania. I have a BA in Bible, MAT in Elementary Education and MDiv work in Pastoral Care. My past positions have included serving as a pastoral associate and director of religious education. I am married to Richard and have two adult children and a grandson. Fred Depies is an owner of Trust Local Foods, LLC, with his son, Aaron Depies. They service Eastern Wisconsin with their food distribution business at Appleton Wisconsin. Trust Local Foods provides local grass-fed meats, dairy, locally grown produce and value added foods from small farms and local artisans. Sales and deliveries are made to health food stores and restaurants in the eastern Wisconsin area. This was made possible by publishing the Farm Fresh Atlas of Eastern Wisconsin for the last 14 years and becoming familiar with small farmers and artisan within the region. He had an interest in health food at an early age and that gave him the motivation to learn more about nutrition and enter businesses related to healthy whole foods. He organized sustainable food fairs, food and energy festivals, and farmer grazing events. These events served as an educational outreach to the region. Prayer is the foundation of our spirituality. Prayer is to our spirituality, what gasoline is to a car. Without prayer we go nowhere in our friendship with the Lord. If we want a relationship with the Lord, let’s take to heart Jesus’ words: “Where two or three are gathered in my name, there I am in their midst.” Come, join Sister Lucille in growing our relationship with the Lord through our prayer together. Certificate in spiritual direction from the Norbertine Center for Spirituality in De Pere, WI and a certificate in Spiritual Direction from Cardinal Stritch/Casa Romero in Milwaukee, WI. Bachelors of Social Welfare from UWM in Milwaukee with 30 years of experience working with the elderly and their families. Jean Gatton is a spiritual director and a small group facilitator. She has been a small group facilitator for Simply the Word Bible Study at Christ King Parish for many years. She has also facilitated Bible Study and Ponder This small groups at Firstfruits as well as offering spiritual direction. She is privileged to share the spiritual journey of those seeking spiritual direction. 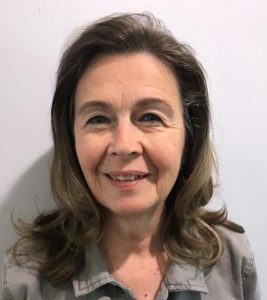 She has been in spiritual direction for over 20 years and is deeply committed to the process of spiritual growth and healing which can come through sharing your journey with a spiritual guide. Also knowing that the real director is God, she is the conduit. Jean is a member of Good Shepherd Parish in Menomonee Falls. She is the mother of three grown sons and grandmother of four granddaughters. Diane Gilles has been married to her high school sweetheart for 50 years, has four children and nine grandchildren. She is a stage four cancer survivor for over 20 years which she attributes to her grateful heart. Diane shares her love of art and faith through offering art classes to individuals to discover their own spiritual creativity. Certified in Pastoral Care, Diane has been using art to reflect, pray and grow spiritually. Her classes offer a safe and encouraging place for individuals to explore and reflect on their own Faith journey. The result is your own individual piece of art as a beautiful reminder of the creativity within each one of us. Bring yourself and your open heart to explore the hidden beauty within. With Diane as your guide who knows what you will discover! Tammy is a wife and mother of 4 children. She is member of St Jerome/Queen of Apostles Parishes. She works at Lakefront Wellness Center in Pewaukee as an outpatient mental health therapist. She mostly provides services addressing marital struggles, trauma, depression and anxiety. Her passion is integrating foundational Christian truths into her therapy approach to help empower those who are suffering. Diane is a retired Reading Specialist from the Oak Creek/Franklin School District and is a NAMI Certified Family to Family Facilitator. Diane retired from the Oak Creek-Franklin school district in June 2013. As a Reading Specialist, she worked with students and teachers promoting best literacy practices in the classroom. Currently, Diane is involved with NAMI’s End the Stigma movement, volunteers with their family therapy dog Mia through Pet’s Helping People, and is gearing up for her youngest daughters’ senior year of high school this fall. 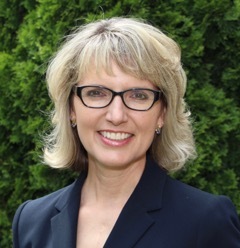 Linda has the privilege of serving the Christian community in Wisconsin with broad charitable and legacy planning as President of National Christian Foundation WI. As scripture tells us that we were made to be givers (generosity is a spiritual gift from God), Linda has specifically been called to help women be confident in God’s plan for their life so that they experience the joy and fulfillment that comes from giving of their L.I.F.E – Labor, Influence, Finances and Expertise. Her vision is to spread the message of generosity so that all can “excel in the grace of giving”. Locally, NCF Wisconsin is one of 30 affiliate offices of the National Christian Foundation – the 9th largest charity in the U.S. and the largest facilitator of donor-advised funds for Christians. Linda practiced law for 25 years in Milwaukee before joining NCF Wisconsin in 2009. Linda met her husband, Charlie, at Marquette Law School. They have been married for over 30 years and have three adult children. Mary received her Masters in Theological Studies from St. Francis de Sales Seminary. She did her clinical pastoral education at Children’s Hospital of Wisconsin, and served for 20 years as the Pastoral Associate at St. Mary Parish in Hales Corners, WI. She is a recipient of the Vatican II award for her work with Families and continues to facilitate Grief Support Groups in her parish. Mary writes a Scripture column for the Catholic Herald and an online reflection for LPi Connect once a month. Mary addresses women’s life transitions allowing the Scriptures to provide that template for her presentations. She continues to offer Spiritual Direction and directs an Autumn Women’s retreat each year at Siena Center in Racine. She is married to Fred. They have four adult children and nine grandchildren. 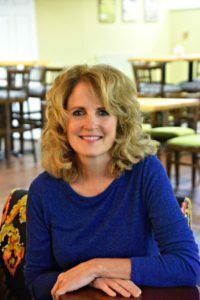 Cindy is a Certified Life Coach, Retreat/Workshop Facilitator and Women’s Bible study leader. A wife of 35 years, she is mom to 2 grown daughters, and grandma to 5 precious grandchildren. Aside from living out her faith and loving her family, Cindy’s heart is to equip, challenge and encourage women to become their very best selves, just as God intended them to be! Mindfulness … Reclaiming the Present Moment and the Life God has for You! The Road To Happiness is Paved With CHOSEN Intention! With more than 30 years of daily, spiritual practice, Elizabeth has presented to a wide range of groups in Wisconsin and Illinois on spiritual growth and our journey to a deeper understanding of God. She has served as retreat leader and provided spiritual direction at the Jesuit Retreat House in Oshkosh. Elizabeth draws inspiration from Christianity, Judaism, and the 12 Steps. She welcomes the opportunity to explore how our relationship with God can continue to unfold and enfold our very lives! Elizabeth has degrees in Art and Business and is in her second year of the Spiritual Guidance Training Program at the Siena Retreat Center in Racine. Past careers have included Development Director, Photographer, Employee Assistance Program Coordinator, and Funeral Director. She is a member of Congregation Shalom in Fox Point. Elizabeth is happily married to Jim. They have one grown daughter. Pam has worked as an educator and guidance counselor. For the past 17 years she has worked with schools, families, parent groups, churches and businesses encouraging and training people as they work with and raise children. Love and Logic is a wonderful approach to raising children to be respectful, responsible and fun to be around. Helps with ages 8 months to 99 yrs. It is great human relationship training. Mary Osep is a wife, mother of five boys, grandmother of four and a retired youth and young adult minister. 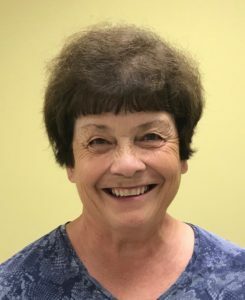 Mary has worked with youth all of her adult life, as a registered nurse at Children’s Hospital before completing studies at Cardinal Stritch University and working with the youth at four parishes. Mary is a trained virtues facilitator and continues to share a virtue of the week reflection through the Our Lady of Lourdes Parish bulletin. Joelle Peterson is an artist, an eternal student, a wife, and mother of four who is passionate about nourishing women and helping people reach their highest potential. She has enjoyed art since before college and has since experimented with and mastered many different art mediums and crafting including silk dying and beading. She loves teaching others how to express themselves through art and believes being creative keeps you healthy by utilizing that wonderful right side of your brain! Donna Pinsoneault formerly served as a peer chaplain for New Horizons retreats and has served with other divorce ministries sponsored by the Archdiocese of Milwaukee. Questions, Doubts, and Fears–Oh My! Susan Pokorny is wife to a loving, numbers guy and mom of six wonderfully unique kids who bring her life much choreographed chaos. As a Wellness Trainer she has devoted her life to encouraging others at work, home, or play to discover better health and well-being. 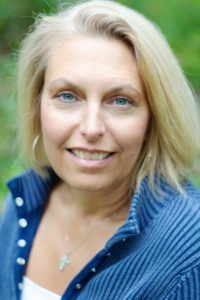 Susan has been teaching, speaking, and educating others about wellness for over 30 years with a focus on mind-body support the past 16 years. She is the author of Two Inches of Wool, The Simple Art of Self-Care where she shares many of her own practical tips for carving out precious time for loving self-care as a tool for being our best. Shelly Runte is Founder and Executive Director of Kayla’s Krew. Shelly brings a refreshing perspective on happiness, letting go, and believing in all abilities. She earned her Bachelor of Science degree in Biology and Microbiology at UW-Oshkosh and started her career at the Medical College of Wisconsin in the Human and Molecular Genetics Center as a project manager. Little did Shelly know that her biggest research project would come to her in August of 2004 when her daughter Kayla was born and later diagnosed with cerebral palsy. With the odds against them, Shelly, her husband (John), and her daughter (Brooklyn) have a remarkable story of teamwork, love, and belief. Kayla redefined Shelly’s perception of motherhood by revealing new roles such as caregiver, healthcare coordinator, advocate, and instrumental griever. Through these new roles, Shelly realized an abundance of life lessons and felt an even deeper call from within which later landed her in the position of Founder and Executive Director of Kayla’s Krew whose mission was to build Kayla’s Playground, the first all-accessible and all-inclusive playground in Franklin and Milwaukee County. However, Shelly’s experiences resonate well beyond the foundation of Kayla’s playground and are wrapped sweetly in play and even stronger in faith! As a published author, her recent work, Perspectives of a Lifetime, can be found in the book, Finding Your Voice. Shelly is passionate about encouraging others to find their own unique voice to make a difference in the world both personally and professionally. Debra has been involved with parish ministry for most of her adult life leading youth CF classes, retreats and work camp experiences, facilitating adult scripture study and faith building programs, speaking on Catholic social teaching, and presenting on a variety of issues related to the social teaching of the Church. 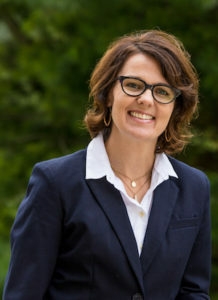 She is VP of the Waukesha County Green Team, on leadership Council for Catholics for Peace and Justice and on the board for Franciscan Peacemakers. She has also taught Sociology and Ecology at Carroll University and tutors English as a Second Language. Debra co-led the youth jobs campaign for Common Ground, is now a member of SOPHIA and an active member of her parish Human Concerns committee. Her joy is family, community, permaculture/gardening and everything outdoors. She has a BBA in Marketing from UW Whitewater and a Masters in theology from Marquette University. 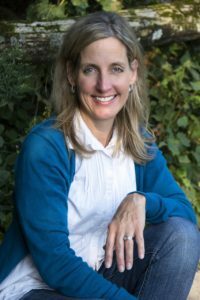 Annemarie is an award-winning author who writes locally for the Catholic Herald and nationally for U.S. Catholic on the connection between faith and family life. She is married with four children, two of whom are adopted from foster care. Her book, Discovering Motherhood, chronicles her family’s journey. Marianne is a retired psychotherapist who was in private practice in the Milwaukee area. She has been in the counseling field for over 21 years. She earned a Master’s Degree in counseling and a Master’s Degree in Theology following her own divorce after a long term marriage. 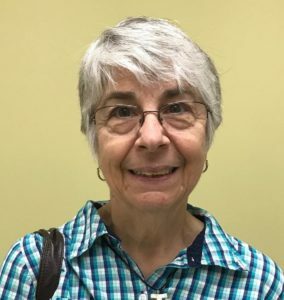 She became active in the Catholic Charismatic Renewal in 1978; served as Associate Liaison for the Archdiocese of Milwaukee for six years and in October of 2012 became the Liaison. Marianne continues to serve in that role. In April of 2012 she was elected to the ADL (Association of Diocesan Liaisons) Steering Committee and participates in The Gathering in Miami each January. Marianne has been active in River of Life Prayer Group for many years and considers the people there to be her Spiritual family. She is the mother of two and the grandmother of four (one in heaven). She has had a ministry to the separated and divorced for over 18 years and has authored a Return to Life DVD set designed to help parishes offer hope and healing to many experiencing the struggle of divorce. . In 2013 Marianne participated in the first Prophetic Visioning Consultation for the Charismatic Renewal held in Bethlehem that was sponsored by ICCRS. Marianne is active in her parish community serving as lector, Eucharistic minister and presider over communion services. Marianne serves as a national consultant to parishes. Come hear about the exciting faith journey she has had and how the Holy Spirit continues to be active in her life. Born and raised in northern New Jersey, Sr. Carol Ann is a member of the Sisters of the Holy Child Jesus, an international congregation of women religious whose charism is rooted in the Incarnation and whose ministry in education is framed by the spiritual works of mercy. She has served within her community as superior, formation director, and as Chair of its Spirituality Task Force. She holds Masters’ degrees from Villanova University and from the Catholic University of America. Sr. Carol Ann has extensive experience in spiritual direction and retreat work. She was Director of the Internship Program for Spiritual Directors in the Diocese of Toledo, Ohio and for 11 years was Director of the Center for Ignatian Spirituality at Marquette University. 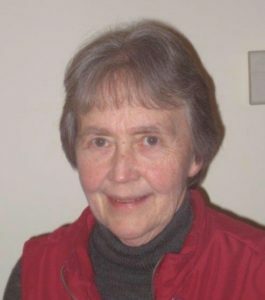 In addition to serving as a resource in spirituality for many groups, she served on Boards of Trustees of Holy Child Schools for over twenty years. Sr. Carol Ann is the co-author with Fr. Eugene Merz, S.J. of Moment By Moment: A Retreat In Everyday Life and Finding God In Each Moment: The Practice of Discernment in Everyday Life and Moments To Remember: Ignatian Wisdom For Aging. Debbie is the creator of Firm Believers, a faith-based dance aerobic fitness program set to contemporary Christian music with focus on achieving balance of mind, body and soul. She strives to inspire and motivate individuals to share in the joy of God’s presence through the movement of dance. To prepare her for her “moving ministry” she owned and operated a jazzercise franchise for 16 years in the Wauwatosa area. With a degree in Special Education she also works with children’s groups, instructing them on health and fitness. Debbie is a devoted wife of 39 years and grandmother of four abundantly loved children. Carol is a wife of over 38 years. She and her husband, Tom, have 5 young adult children and 9 grandchildren. 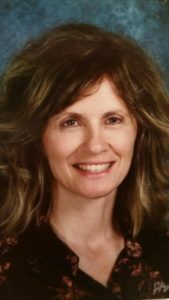 Carol has a Bachelor’s Degree in Psychology and Elementary Education and a Certificate in Spirituality from AlvernoCollege in Milwaukee, WI. 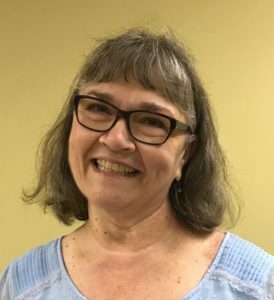 Carol has been working since 1992 in the area of lay spirituality as a spiritual director, a retreat leader, a dynamic Christian motivational speaker, and a director of Days of Reflection. She has also been involved with women in the jail system in Milwaukee and has made 4 mission trips to Haiti. Amber is a stay-at-home mother of two, with a small, yet budding, online wellness business called Wellness Rising. She started her professional career in the Air Force as an administrative officer who was serendipitously charged with running several wellness and fitness programs. After four years in the Air Force, Amber began working as a personal trainer at a high-end women’s gym in Boston, Massachusetts, where she led group fitness and nutrition classes for several years. She’s been a stay-at-home mom since the birth of her daughter in 2010, and quickly learned that convincing a toddler to eat vegetables would be the most challenging job of her life. Certificates in Theology and Family Ministry. Past Director, Office for Women, Milwaukee Archdiocese. Past Staff member, Human Concerns/Respect Life Office, Milwaukee Archdiocese.